Já vai olhando o preço da passagem. You guys, it’s Betty White’s birthday, and she’s 96 freaking years old! The most beloved Golden Girl shared her secret to longevity. Just keep doing what you’re doing, Betty, because clearly, it’s working. Happy birthday!!! Kristin and Michael took their relationship of two decades from Neomail to AIM to iMessage to IRL. 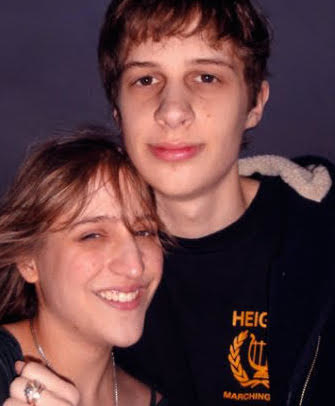 Kristin, who’s now 29, joined a role-playing guild on the site called the “Evil Jellies.” There she met Michael Andrews-Carr, a then-10-year-old user from Ohio whose pseudonym on Neopets was “Doctor.” Michael is now 27. The “Evil Jellies” guild was a place where some users role-played as villainous “bad guys” and others as the heroic “good guys.” Kristin was a good guy in the guild, and Michael took on the role as a bad guy. They were “rivals” in this world. Kristin, Michael, and some of the other members of the guild would carry out their role-playing and communication over chatrooms and neomail. They all became friends online, but Kristin and Michael grew especially close. Soon, the two signed on every day to “playfight” and “talk stupid drama related to these [guilds].” They were still children, so conversations never advanced. During their entire time on Neopets, the two only knew each other by their usernames. When the two entered their teenage years, they moved their online friendship and conversations to AIM. They were virtual strangers, but they began to be curious about each other’s personal information, photos, and lives. “We went from silly rivalry to talking about school and life,” Kristin said. The pieces of each other’s human selves started to come together after they exchanged their real names, locations, and photos over AIM. Kristin soon started to develop romantic feelings for Michael. She said she’d always been open about her young online friendship to her parents, but Michael was more hesitant to open up to his. “He was afraid that if he told his parents about me, they would tell him he can’t talk to strangers online,” she said. She explained that every morning before school the two would check in. And when one of them had to leave for school, they’d say a casual “love you” before signing off. One morning, Kristin responded to a “love you” by posing to Michael, “Do you really mean that about me?” The feeling was mutual, and so the two started dating each other online. Michael was 17, and Kristin was now entering her 20s. At a local restaurant where they planned to meet, Kristin said she “was dressed super cute” and brought her mom with her. She recalled seeing him in the restaurant in person, and got so overwhelmed she ran out of the restaurant without actually talking to him. Michael enrolled at Hendrix College and the two were able to have a relationship IRL in the same city for the first time. In 2014, Michael proposed! And the two got married shortly after. Kristin said she attributes the long and successful relationship she and Michael share to learning how to communicate with each other from a young age. “We learned growing up as kids talking to somebody on the internet that you got to know how to communicate — otherwise you won’t have a friend,” she said. When they tell people of how they met (as “Doctor” and “Zepher_Cat” on Neopets) they’re both amused and surprised. She hopes their story can really prove just how “real” friendships on the internet can be, or can become. “You can make real friends and have real relationships,” she said. In September, while Kristin was recovering from spine surgery and “holed up” at home, she re-joined Neopets. She’s now apart of a community of adult users on the site. “It’s incredibly sweet to see all these grown people go back to something so innocent,” she said. Julia Reinstein, social news reporter and resident Neopets expert, contributed to the reporting.